For some patients with a high risk of bed falls, standard bed heights are too high and may provide an increased risk of injury. While bed rails will alleviate this risk somewhat, a lower bed height will make the bed even safer. 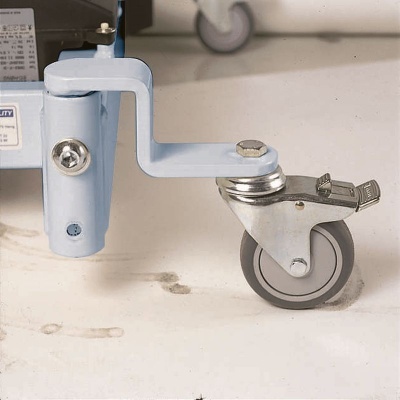 The Invacare SB 755 Profiling Bed Lowering Kit is an ideal solution for the SB 755 range, as it allows the bed to be lowered to a safe height of 250mm. By lowering the bed to 250mm from the ground, the risk of injuries from bed falls will be greatly reduced, providing peace of mind for patients and carers alike. This kit includes castors measuring only 75mm, creating an even safer care environment.